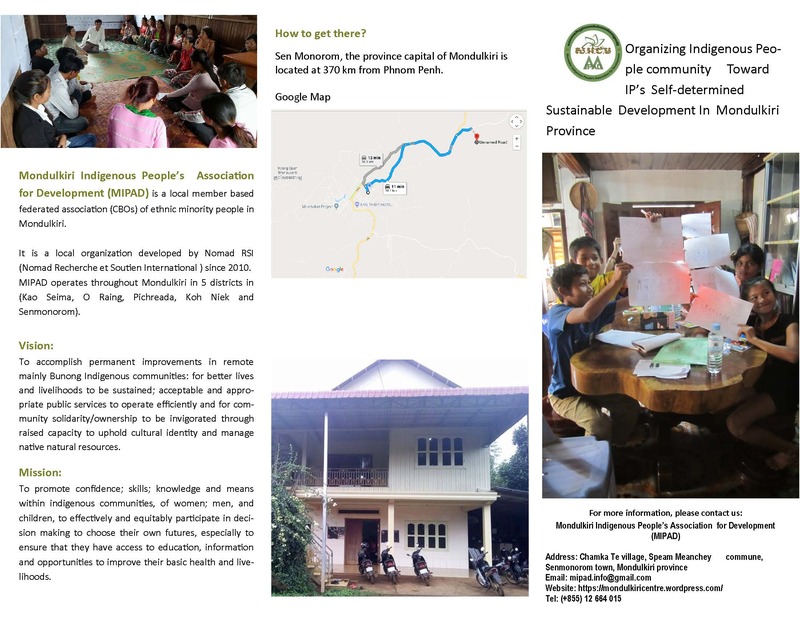 Mondulkiri Indigenous People’s Association for Development (MIPAD) is a local member based federated association (CBOs) of ethnic minority people in Mondulkiri. It is a local organization developed by Nomad RSI (Nomad Recherche et Soutien International ) since 2010. MIPAD operates throughout Mondulkiri in 5 districts in (Kao Seima, O Raing, Pichreada, Koh Niek and Senmonorom). 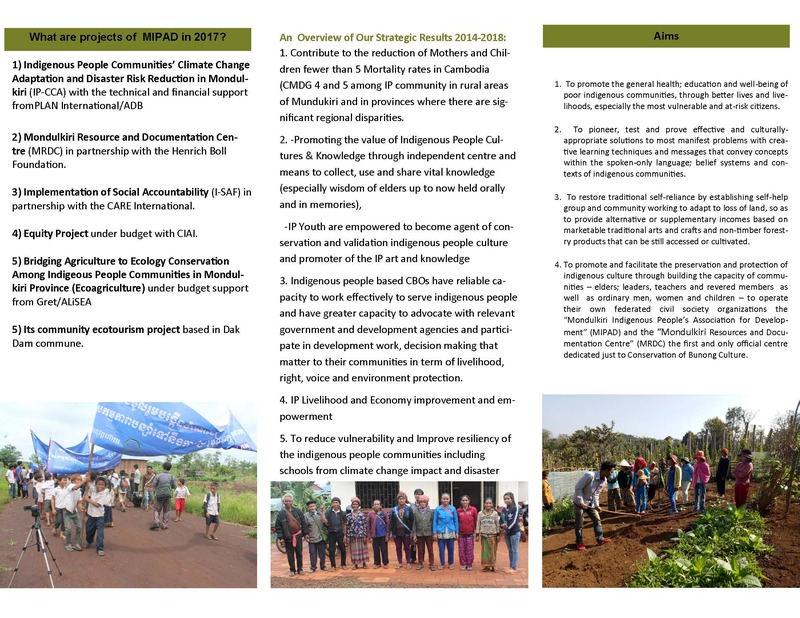 We promote confidence, skills, knowledge and means within indigenous communities of women, men and children, to effectively and equitably participate in decision making to choose their own futures, especially to ensure that they have access to education, information and opportunities to improve their basic health and livelihoods. 5) Its community ecotourism project based in Dak Dam commune. Join us on Facebook and visit our website. The MIPAD Federation, at the end of 2015, consisted of 15 Self-Help Groups (SHGs), or participating communities – 4 formed originally from the UNESCO/ILO project; 7 through the Kadoorie Charitable Foundation project, and a further 8 through USAID/Winrock Foundation (4 new groups and 4 mixed with KCF).